Includes courses that focus on concussion, special populations, administration and psychosocial care. San Marcos, CA—December 2, 2014—The University of St. Augustine for Health Sciences (USA) is expanding its post-professional offerings with an online Master of Health Science in Athletic Training program. Students can specialize in Administration and Leadership in Athletic Training or in Psychosocial Patient Care. The program offers courses in hot topics, including Concussion in Sport, Sport and the Female Athlete and Emergency Athletic Training. This online program is designed for certified and/or licensed athletic trainers who want to advance in their careers while balancing their personal and professional commitments. It can be completed full-time in fewer than two years and includes a five-day on-campus residency in emergency athletic training that also fulfills the professional rescuer requirements for maintaining board certification and/or licensure. Evidence-based courses provide foundational best-practice guidelines taught across the curriculum. Dr. Hamson-Utley is a well-published educator and scholar who also maintains a clinical practice. 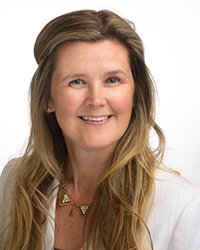 She has a bachelor’s degree in Athletic Training and Psychology from Mankato State University, an MS in Exercise Physiology from Northeastern Illinois University and a PhD in Experimental Psychology with an emphasis in the Psychology of Injury from DePaul University. USA is currently accepting applications for the program, which begins in January 2015. Athletic trainers work in a variety of settings, including high schools, universities, hospitals, rehabilitation clinics, professional sports, performing arts, and the military. According to the Department of Labor, athletic training is expanding faster than average, with a projected growth rate of 19% and an addition of 5,400 jobs from 2012 to 2022.